My childhood was really the result of one big commercial if I’m being totally honest with myself. The toys I loved I loved because of the television shows they were associated with, and the shows they were associated with existed to sell me toys as much as anything else. I adored those toys, and I still have great affection for them. I still have very strong opinions about which Transformer is best (Soundwave, obviously, and I will fight you on this), and I still get some serious feels when I hear the original Voltron theme. But playing with those toys never quite delivered on the promise the commercials offered. The kids in those commercials always had much cooler spots to play and had way more fun with them. Of course they did – they were paid to have unrealistic amounts of fun with them. 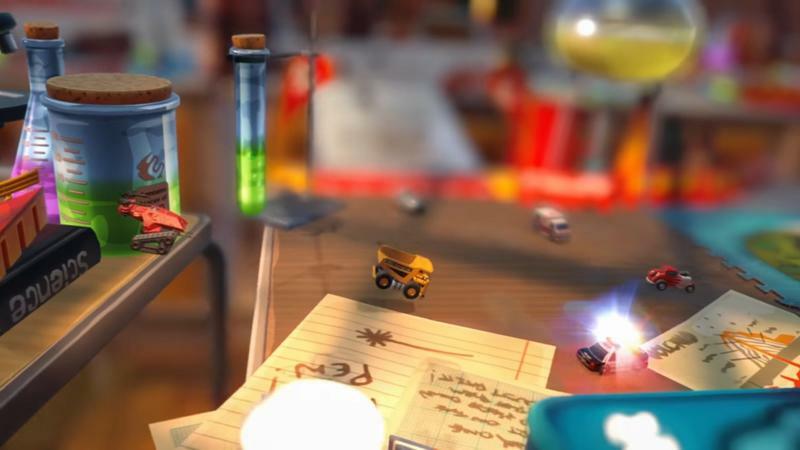 When I sat down to play Micro Machines World Series at a preview event a few weeks back, I couldn’t help but think about all the imagined promise of those toys, as they sat there, right before my eyes. Before you even get into the game, it’s already starting to deal in serious, intravenous doses of nostalgia. It’s not referencing nostalgic elements, it’s straight-up borrowing from our childhoods. Micro Machines are a product of the Hasbro, Inc., one of the biggest toy companies in America. They own countless licenses, and the team at Codemasters has been given access to a whole bunch of those. I think that plays into the core attraction of a game like this. 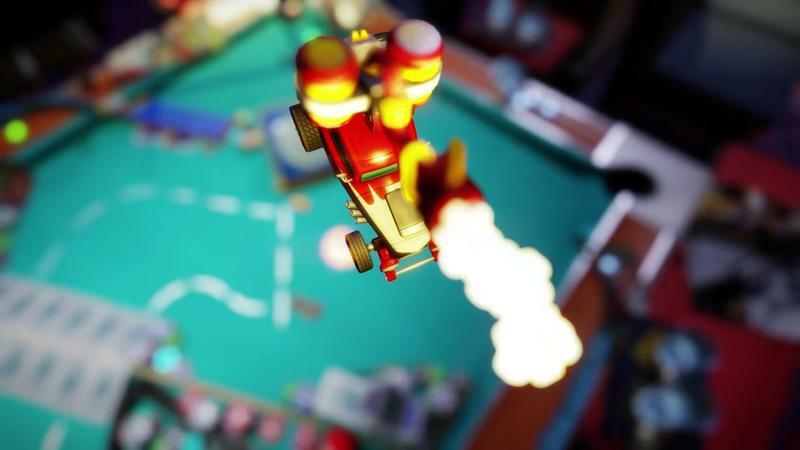 Micro Machines games take all those environments we play in as kids – our bedroom, the kitchen, the backyard, and make them magical – make them act the way we imagined them. 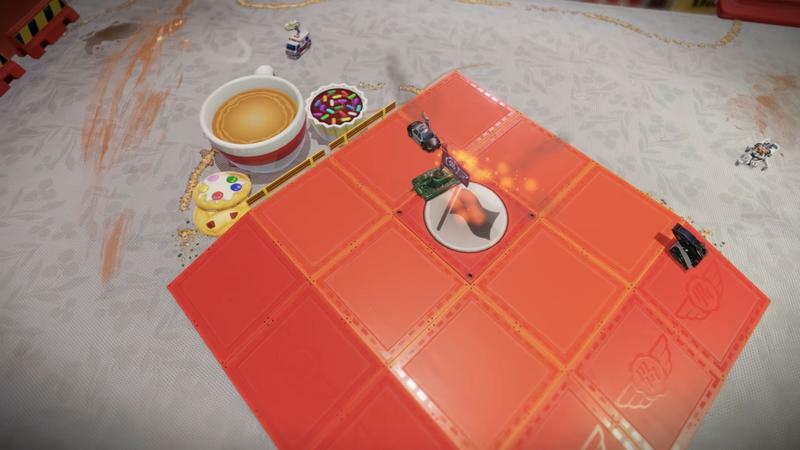 That was what made the Sega Genesis Micro Machines game so appealing way back when, and that’s some of the promise of Micro Machines World Series, on top of all the fun and chaos a multiplayer online game offers. 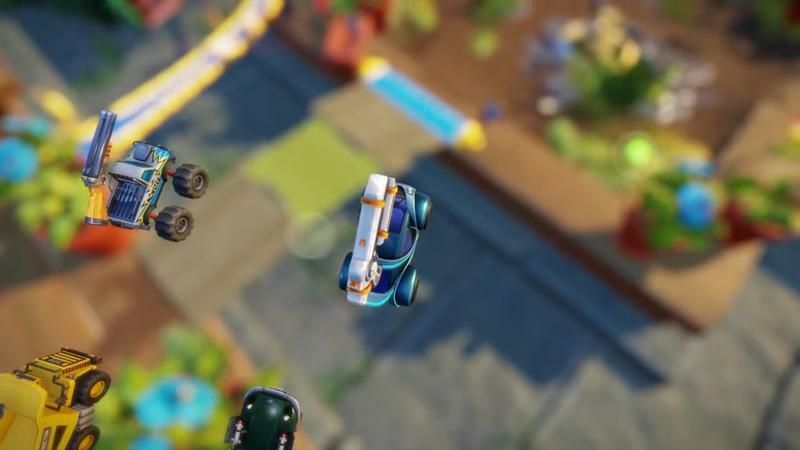 Micro Machines World Series is, in a way, Codemasters delivering on the promise of their 2014 game, Toybox Turbos. 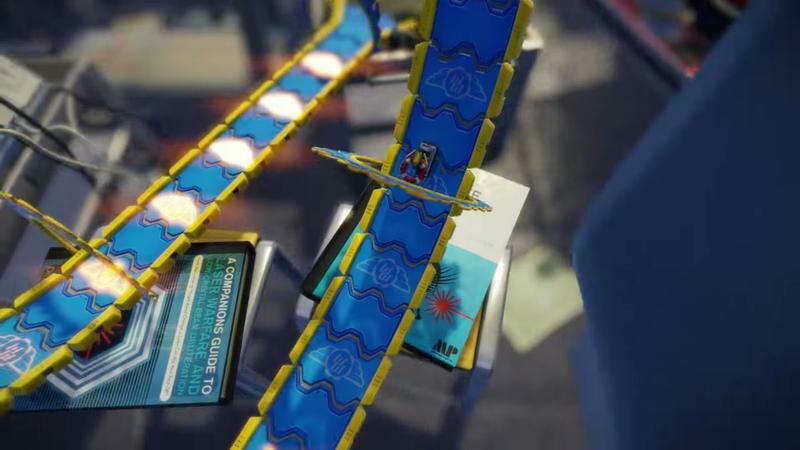 That game had all the Micro Machines charm built in, but was without the license that connects these games to our childhoods. A lot of what made that game fun when it hit PC, Xbox 360, and PlayStation 3 is still in here. 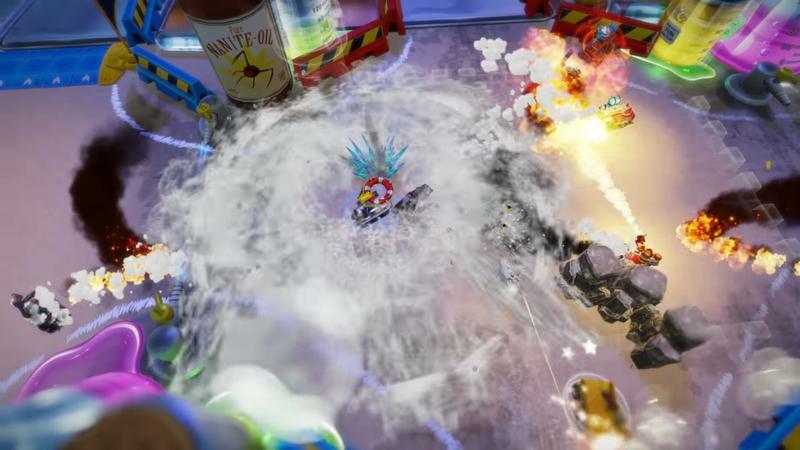 There’s still local multiplayer racing and elimination, but the biggest of the game’s new features is the battle mode. 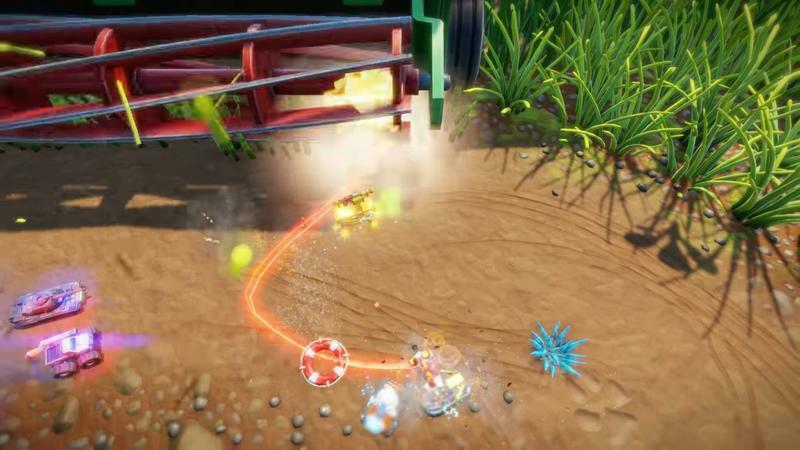 In battle mode, I can see a bit of influence from some of our modern multiplayer classics like Overwatch and Rocket League. 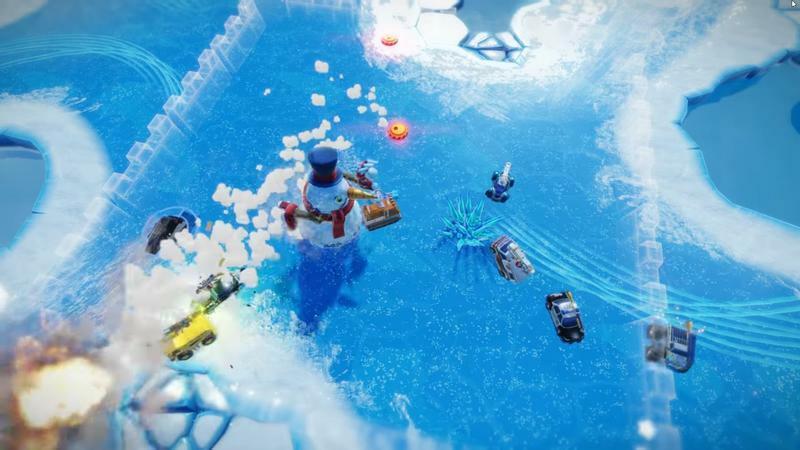 Codemasters’ Chief Game Designer Gavin Cooper said the team wanted to bring the format up to date, and give players what they expect from modern multiplayer. Not just the look and feel of the game itself, but the meta-game around it. 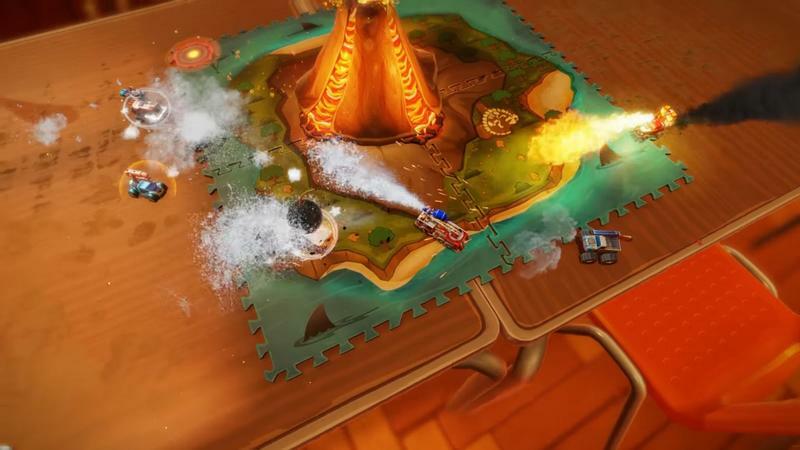 Battle mode includes stuff like Capture the Flag and King of the Hill, and has you shuffling through a playlist of maps with your party, playing different modes on different maps. There’s a 6v6 team deathmatch mode, too. There’s a lot of potential for variety here, and the fast-paced nature of the game means that you’ll always be doing something. 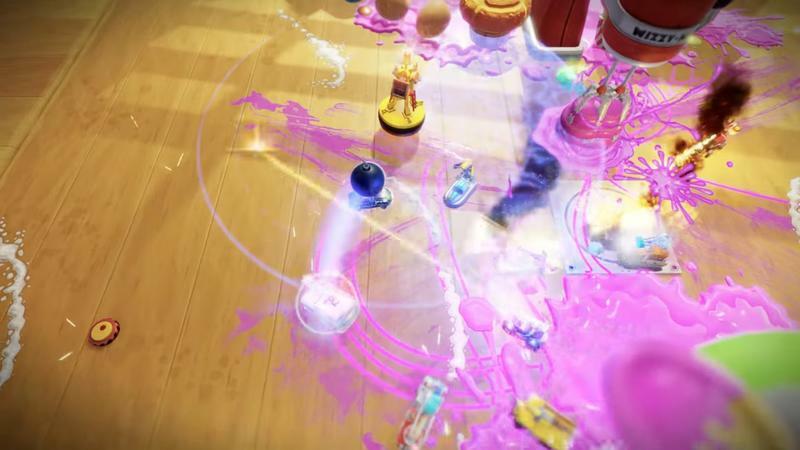 It remains to be seen whether or not the mode will hold up to long-term play; a preview event can’t tell us that. But the potential is definitely there. It also includes being able to earn XP, which gives way to new customization options. The screen where we could purchase skins was, when I played it, very reminiscent of Overwatch, right down to the colors of the skin names annotating how expensive they are in in-game currency. Additional customization options, like the name badge that appears above your head during play, definitely felt a bit like Rocket League. 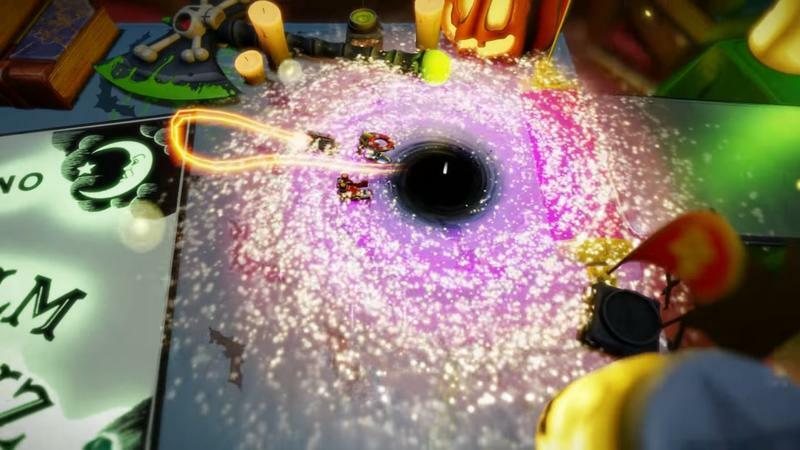 It’s easy to say that’s derivative, but the team cherry-picked a few great features from some of the best multiplayer games to use in its game. That’s not a bad thing. There’s even a ranked mode and weekly events the team plans to set up using tools they have on the back end. 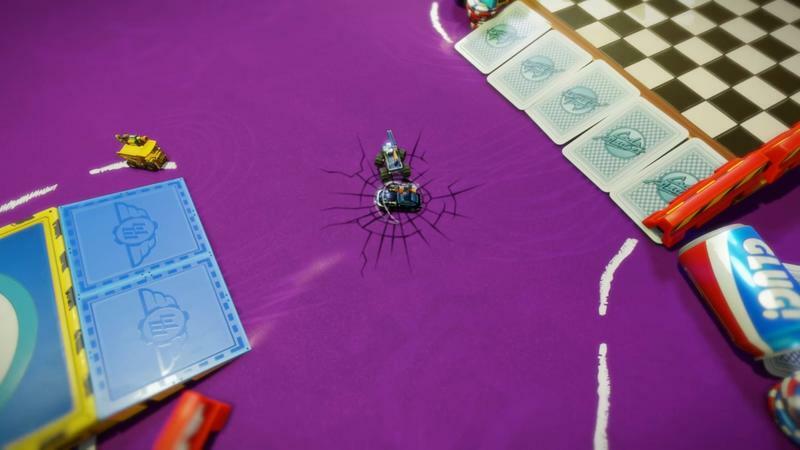 The danger that Micro Machines World Series faces is an over-reliance on the licenses that will attract people in. 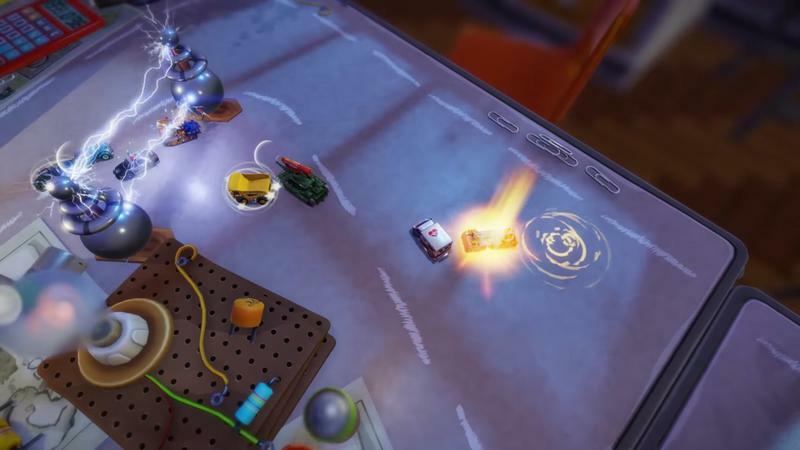 Cooper agreed that “there’s always going to be an element of retro-chic to Micro Machines,” but pointed out that many of these licenses are still going strong today. 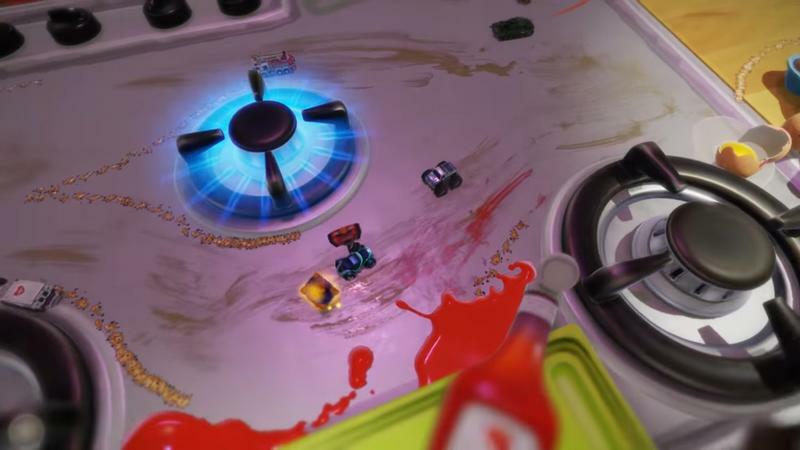 The weapons in the game, for example, are NERF-branded and have the fluorescent colors to go with that. The license I immediately latched onto was G.I. Joe, but it’s far from the only one in there. 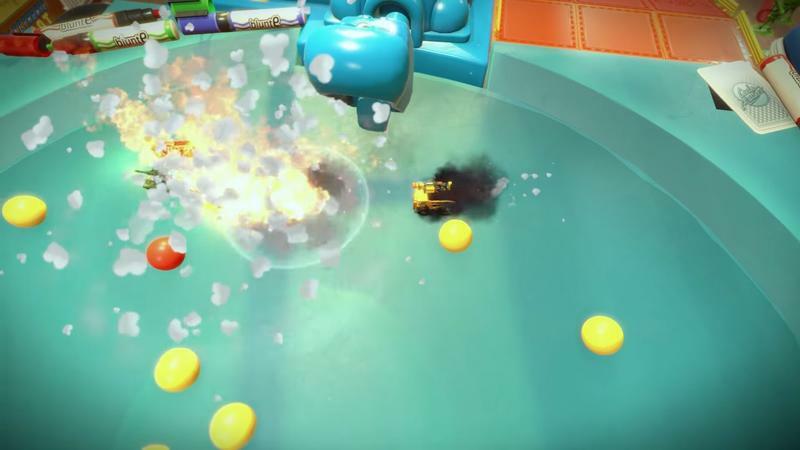 One of the levels makes prominent use of the Hungry Hungry Hippos game, and that one held the most nostalgia for Cooper. There are about a million G.I. Joe vehicles, many of which I owned and subsequently lost or broke as a child. 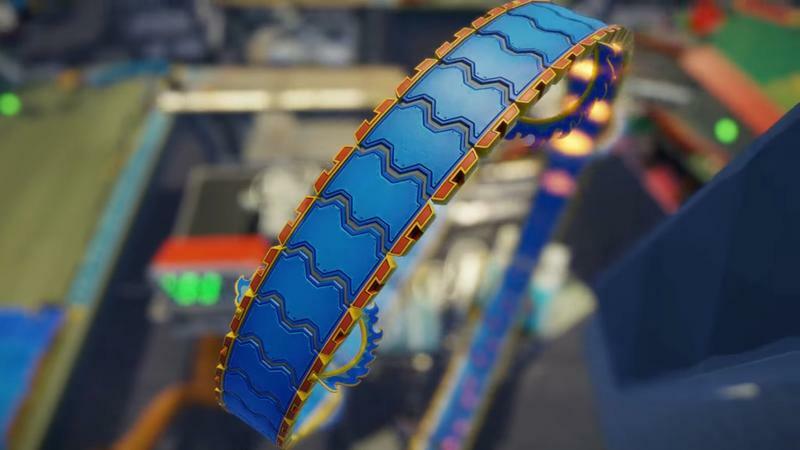 I’d love to take some of those into battle, finally, against opponents who aren’t bullet proof, water proof, everything proof, and infinity-proof times infinity plus one. The missile definitely hit, Andrew. We were both watching. Cooper and his team hopes that these long-lived licenses will bring in both those 90s kids chasing nostalgia and a younger audience still acquainted with Hasbro’s huge collection of toys. When Cooper brought up that younger audience, I had to ask about the Nintendo Switch. “There’s nothing we can say. We’re watching what happens with the Switch very closely,” he said. 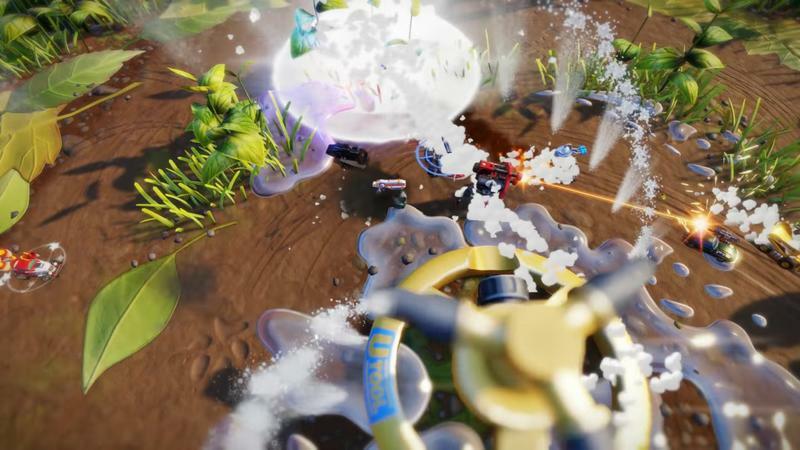 The team is focusing on finishing up the PC, PlayStation 4, and Xbox One versions of Micro Machines World Series, which are set to hit in June this year.